Albuquerque, NM (September 2009) – The winners of American Clay Enterprises, Inc.’s first annual Room Makeover Contest have been announced! The team of Steve Gonzales and Dave Amundson from Missoula, MT, is the Grand Prize winner for the Professional category, and El Paso, TX’s PJ and Yukie Liu are the Grand Prize winners for the Do-It-Yourself (DIY) category. The contest ran from January 1, 2009 – August 1, 2009 and Professionals and Do-It-Yourselfers submitted projects in their respective categories to show off their remodeling and renovating skills using American Clay’s award-winning, patented, all-natural earth plasters to re-do a room. 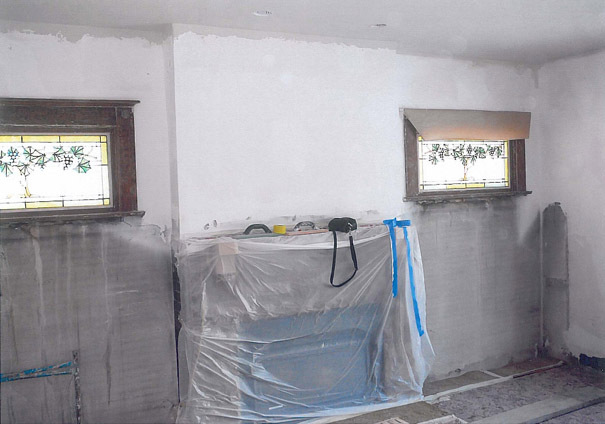 For the contest Steve Gonzales and Dave Amundson resurfaced the ceiling, walls and fireplace–the entire living room—using American Clay’s Loma in the colors Snow Canyon, Jasper and Nantucket Gold. The judges were impressed by the beautiful craftsmanship, how color accents balanced with the more subtle main walls, and that their work made the statement that American Clay is a “craftsman” material. Steve and Dave’s Grand Prize consists of a private artist training class ($1500 value) taught by an American Clay professional staff member and $500 worth of product. PJ and Yukie Liu remodeled their kitchen and two bedrooms using American Clay’s Loma and Porcelina in the colors Dakota Red, Santa Fe Tan, Snow Canyon and Chimayo. The judges appreciated that the whole family participated—even the kids!—a process that American Clay encourages. 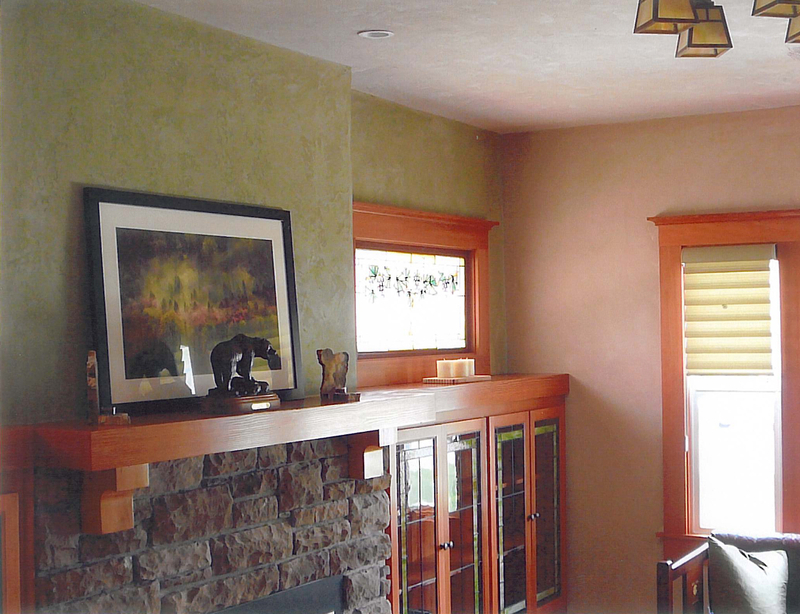 The clay plaster’s use in the modern-retro, interpretation of the interior remodel–90s bold colors to subtler ones with soft light–created a grounded, timeless feel that sealed the deal. PJ and Yukie won $1500 worth of product as their Grand Prize. In the Professional category the Runner Up is Alicia Armstrong of Palm Desert, CA, and Honorable Mention goes to Janet Elich of Frisco, CO. In the DIY category, the Runner Up is Laura Guthrie of Fairfield, IA, and Honorable Mention goes to Abby Paffrath of Wilson, WY. Three rounds of judging resulted in five finalists chosen for each category – Professional and DIY. Submissions for each project were judged based on aesthetics, creativity and use of materials. Project submissions required four to six photos of a room in the applicant’s home redone by using American Clay (including one before and one after photo), as well as a project description which includes a depiction of the processes carried out during the project, a list of the products used to complete the project, and type of finish used. 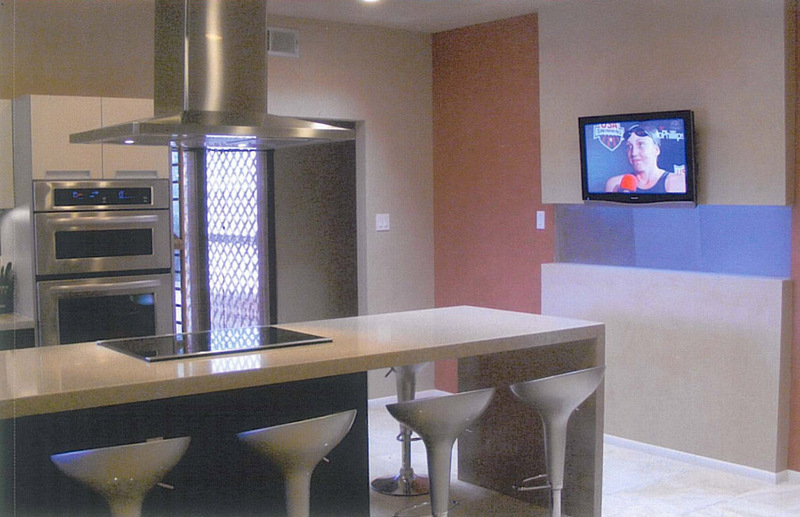 American Clay produces patented, award-winning, all-natural interior wall finishing products. 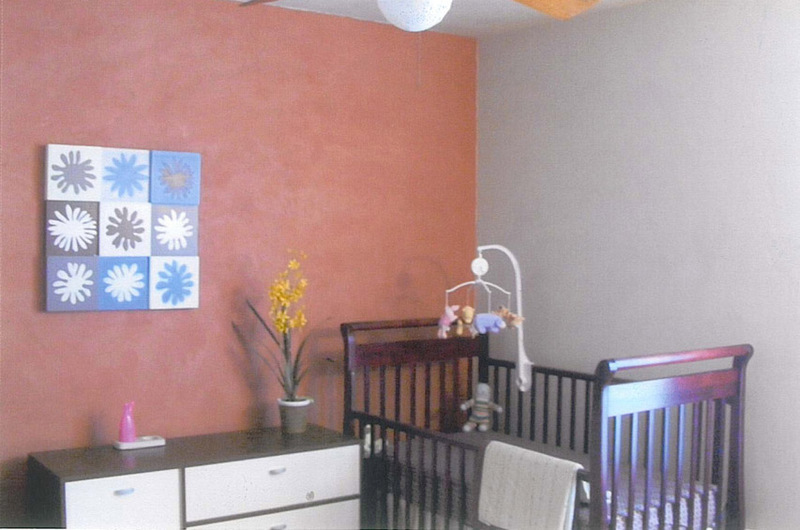 Their Earth Plasters and the commercial “Enjarre” single coat plaster are a unique combination of clays, aggregates and natural pigments that offer builders and consumers a natural and elegant option. There is no off-gassing nor inherent waste on-site. The plasters contain zero VOCs, are non-flammable, are mold resisting (without toxic fungicides), absorb odors, provide temperature and humidity buffering, repair/clean easily and come in recyclable packaging. American Clay, with an extremely low carbon footprint, is uniquely manufactured in and made of materials found in the U.S. American Clay Enterprises, Inc., is based in Albuquerque, NM. The product and various workshops are available through their New Mexico office or through one of the growing number of retailers and distributors across the U.S. The website, www.americanclay.com, offers information on products, ordering, technical specifications, product application and additional resources and links.